What Can You Do with a Healthcare Management Degree? Where Can a Healthcare Management Major Take You? The healthcare industry is evolving rapidly. Thanks to new technological breakthroughs like wearables and electronic health records, and coupled with the pressing need to keep our nation’s ever-growing — and aging — patient populations healthy, the healthcare industry as a whole is advancing and growing. Hospitals and clinics across the nation need more healthcare professionals — especially those who are committed to serving as healthcare managers. Graduates with a Bachelor of Science in Healthcare Management will find that the job outlook for healthcare management careers is strong, and that healthcare companies large and small are eager to work with educated and dedicated managers who are committed to providing top-notch care for patients in need. Those who choose to pursue a Bachelor of Science in Healthcare Management will enter a job market with a high demand for their skills and experience. The U.S. Bureau of Labor Statistics anticipates that employment in healthcare occupations will increase an estimated 18% over the next decade. This is faster than average for all occupations and is the fastest-growing job segment of the economy. Analysts predict that the healthcare industry will add an additional 2.3 million jobs by 2026. They note several reasons for this anticipated growth, including an increase in population for groups over 65 years of age and an increase in the demand for medical services. With a healthcare management degree, graduates can pursue management-related careers within a diverse array of healthcare fields and sectors. 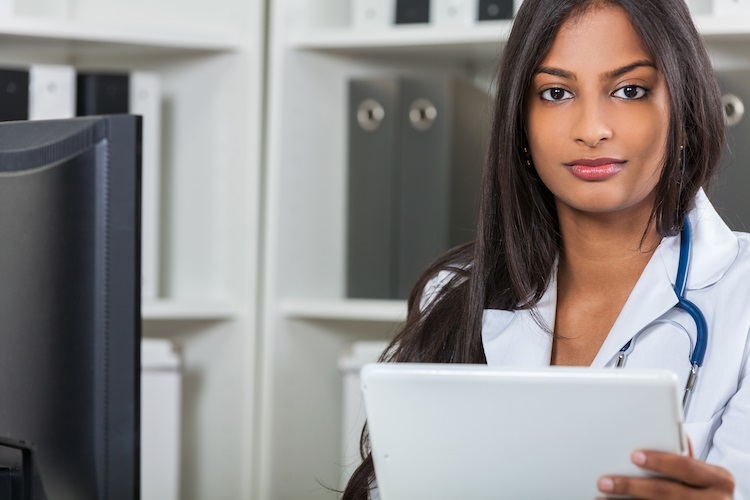 The following careers are some of the most popular for healthcare management graduates. Hospital administrators work at the heart of healthcare facilities to maintain daily operations and innovate systems to meet a healthcare organization’s annual targets. Administrators work on a variety of tasks, including budgeting, hiring, implementing new medical treatments, setting strategic initiatives, selecting new technology, establishing and enforcing policies, and making sure that the facility adheres to governmental guidelines. It’s a big job with many responsibilities, and stakeholders depend upon the administrator to run the facility well so they can do what they do best: help patients live healthy lives. The average salary for a hospital administrator is $82,000, but this salary varies with location, job scope, and experience, as well as other factors. An urgent care manager oversees operations of urgent care clinics or hospital emergency departments. These clinics or departments vary in size and function. Some serve large, urban areas; others are the only urgent care facilities in remote or rural areas, so the jobs the providers and caregivers do vary widely, too. Urgent care managers need to provide high-quality care and services to a large number of patients, many of whom can be critically injured. The salary of an urgent care clinic manager depends on the size of the facility and the scope of its work. Average annual salaries start at about $57,000 and increase according to individual facility variables. A physical therapy clinic manager oversees the physical therapists and the physical therapy practice, both in healthcare organizations and private practices. A physical therapy manager could handle all facility operations, personnel, and technology decisions. The average salary of a physical therapy clinic manager is $81,000, with an entry-level salary of approximately $75,000. Hospitals need chief executive officers (CEOs) and chief financial officers (CFOs). Generally, these positions are important to the day-to-day operations and the fiscal health of a complex organization. CEOs are responsible for the overall function of the hospital as well as patient care, staffing, and profitability. CFOs focus on the facility’s finances and ensure that the organization is operating with an eye to fiscal responsibility. The salary for a hospital CEO varies widely, ranging from about $63,000 to $415,000, with a median salary of $168,000. CEO and CFO positions often include additional perks, such as bonuses, incentives, and profit sharing. A private practice health manager oversees the administration of privately owned medical practices, clinics, and even large facilities. They perform the same general tasks as clinic managers, hospital administrators, or even healthcare organizations’ CEOs. They establish budgets, handle billing, take care of hiring and management of staff members, ensure HIPAA compliance, manage schedules, and order supplies. On a larger scale, they set organizational priorities, draft strategic initiatives, and reach annual goals. The average salary for a private practice health manager is $79,000, similar to that of a hospital administrator. Health information managers are necessary in most large healthcare organizations. The HIM position handles information management specifically for patient records, which have stringent governmental standards for privacy and record-keeping. These professionals identify, plan, develop, and maintain technology systems to safeguard patient data while increasing healthcare operations efficiency and improving patient outcomes and experiences. They must select new software, ensure that it is properly installed, and manage software rollouts and updates — all while meeting the HIPAA standards for patient records and maintaining healthcare operations. The average salary of a health information manager is approximately $71,000. A nursing manager oversees the nursing staff at a hospital, clinic, or other care facility. The manager supervises the nursing team and assists with the recruitment and hiring process for new nurses. These managers also implement policies and procedures to ensure proper patient care and patient satisfaction. Large hospitals also employ department managers with similar job descriptions, such as managers for the imaging, lab, and rehabilitation departments. The average salary for a nursing manager or director is $76,000. Home healthcare agencies are often private companies that provide healthcare to families, physicians, hospitals, and hospice centers. However, large healthcare organizations are developing home health services to accompany their standard healthcare offerings. These managers may be responsible for the home health agency’s operations, including staff hiring, supervision, and termination; budget planning; and patient experience scores. The manager must ensure that annual budgetary goals are met and that the agency continues to improve and grow, year after year. The average salary for a home healthcare manager is $79,000. Mental health facilities require the same type of management and administration as other medical facilities. A mental health agency manager oversees a facility’s operations and coordinates and directs activities and personnel. Someone in this role also may manage technology and billing functions and be the final arbitrator in patient care issues. The salary may vary greatly depending on the facility’s size, services, and location, with an average salary of about $54,000. Governmental agencies and private organizations require health and social services managers, as do community care clinics. Health and social services managers oversee the agency or organization’s operations, including all aspects of the hiring process, budgeting, billing, compliance, and client satisfaction. They may also handle outreach programs, such as health or wellness events. Managers who work in governmental agencies are likely to receive the highest pay. The average salary for a health and social services manager is approximately $55,000 annually. The growth of the healthcare services industry is expected to continue, so the need for healthcare management professionals is expected to grow, too. As more healthcare providers are needed, the number of managers necessary to oversee operations will climb over the next decade and beyond. Job applicants with the right preparation will be poised to take advantage of this expanding job market in the healthcare management field. Learn more about healthcare management careers and how to pursue a Bachelor of Science in Healthcare Management at Maryville University. Now that you better understand healthcare management careers, discover what healthcare management is in the digital age.